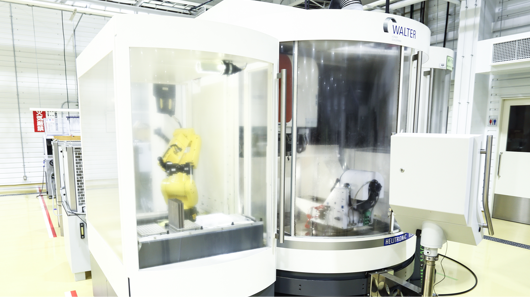 WJ processing machine made by AQUARESE combining Flow's HP technology and Staubli' s 6-axis articulated lot. In the conventional table type, machining can be performed in a shape having an angle or a height difference that could not be processed. 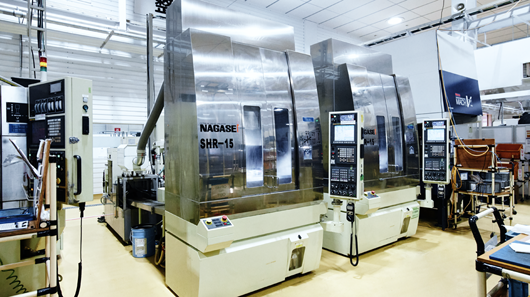 It owns high rigidity 5 axis machining and realize high precision machining of difficult-to-cut materials. In addition, the spindle is set to high torque specifications, and the inclined axis is made to be special specification to improve accurary by direct drive. High Reciprocating type grinding machine to minimize the influence on non-cutting material and achieve high precision machining. 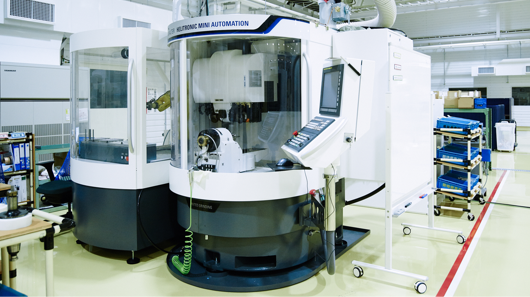 5-axis CNC grinding machine best suited for grinding small diameter tools and producing rotating parts. It realizes excellent productivity with double grinding spindle with spindle end. 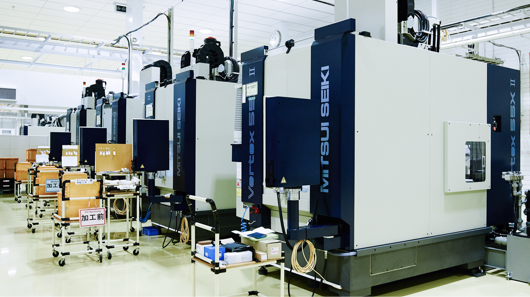 A 5-axis CNC grinding machine for high rigidity and high precision, grinding and re-grinding of large diameter tools, equipped with a grinding wheel exchanger and a wide variety of modeling. Also , it has a robot loader. 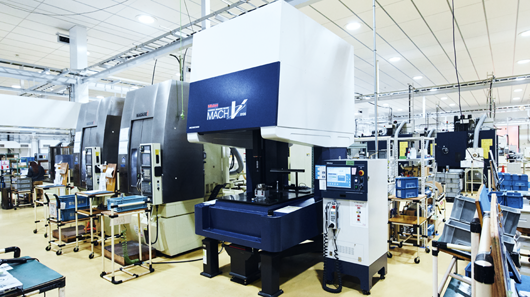 Also, it is a 5-axis CNC grinding machine best suited for the grinding of small diameter tools and the production of parts subject to rotation, which can meet high quality requirements. 2Excellent productivity with grinding spindle with spindle end. High reciprocating type grinding machine. 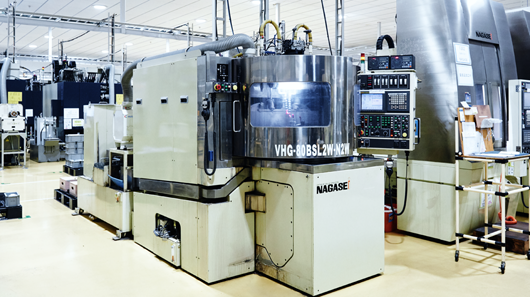 It enables to minimize the influence on non-cutting material and achieve high precision processing. 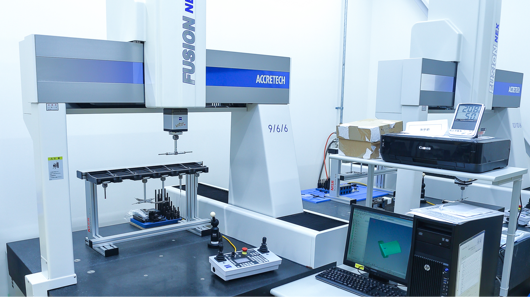 On-site compatible three-dimensional measuring machine. It can be measured stably and rapidly for 24 hours in the enviroment of the production line where the machine tool is installed. 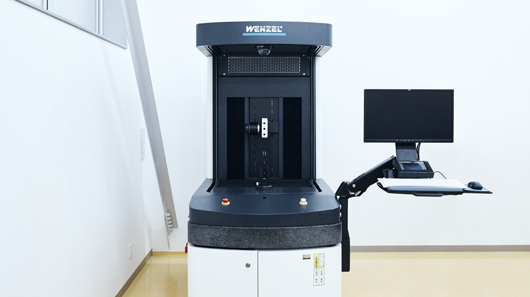 Optical coordinate measuring machine with five axes (two rotation axes in addition to X/Y/Z) using a white light sensor. 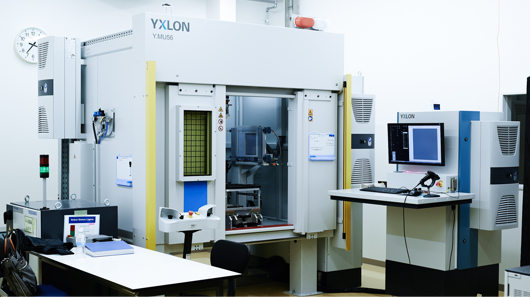 It allows to measure the specular surface with a general optical measuring machine. It also supports a wide temperature range, it can be used in production enviroment. Three-dimensional measuring machine with the best class level guarantee precision. 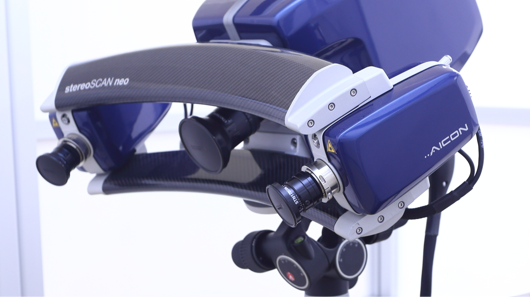 Equipped with an active scanning probe, accurate deflection of the probe can be removed by controlling the measurement pressure. As a result , not only the known shape but also the unknown shape can be measured faster and more accurately. Fringe pattern type scanner. Projection with full color is possible, optimizing the projected color and light quantity according to the characteristics of the surface of the object and obtaining higher quality date. A floor layout in which cleaning, etching, and fluorescence penetrant tests are done on one circumference line makes for better work efficiency. Devising the fixture enables multiple processing simultaneously. 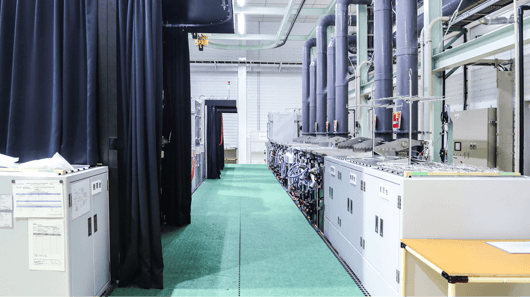 The facility was first introduced in Japan. Exclusive spec for turbine blades. Equipped with the latest digital flat panel detector and advanced HDR testing technology. Digital photographing reduces inspection time. 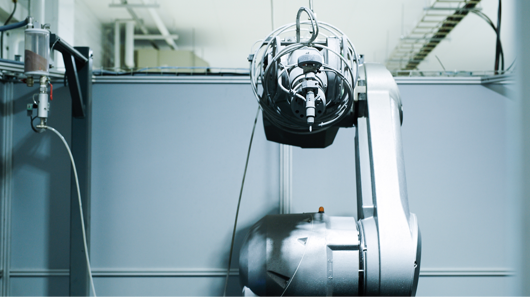 A robot arm maintains photographing posture and to exchange inspecting products and palettes.